Taking Your Aspirations to Realizations. A.I.M. Therapy stands for Applied Integrative Motion Therapy. A.I.M. is an approach to re-establishing natural balance in the body which is drawn from the sciences of Eastern Wholistic and Holistic Medicine, Kinesiology, Body Mechanics, Rehabilitative Science, Breathing Dynamics, Chinese Therapeutic Restoration techniques and Taoist Food Combination Nutritional Science. A.I.M. is a way of understanding the human body and the human body's relationship to motion under load. A.I.M. is most frequently employed to rebalance and rebuild an injured or damaged body structure but it most certainly can and should be learned by a healthy body whenever possible to prevent such occurrences from ever developing in the first place. As we all know, "an ounce of prevention is worth a pound of cure." Therefore, being introduced to A.I.M. and its various modalities while still healthy can allow a body to age more gracefully and retain youthful vitality, pliability and strength. How will this help with an injury / condition? Injury is initially brought into the body through improper motion and usually occurs while the body is under load, meaning actively engaged in exerting itself. Load can occur in something obvious like lifting a heavy object. Or load can occur more innocuously, for instance in attempting to negotiate the stairs two at a time either upward or downward rather than one at a time. Once an injury has occurred, the body begins a compensation process. Compensation is the body's default method of coping with a weakened part sustained through injury or illness. Compensation simply means that other body parts will attempt to take up the slack for the injured/weakened area and, in the process of doing so, create other potential weaknesses due to improper load displacement. For example; if you sprain your ankle you will limp. 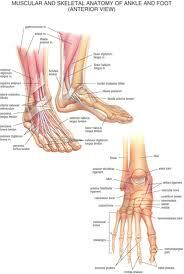 The limping places improper pressure on the feet, ankles, knees, hips and spine through a change of gait. Left to its own devices the body will eventually heal the injured ankle. But in the length of time required to do this, a permanent change in gait may occur setting the body up for another failure down the line. Or, at the very least, an improper acquired pattern of movement in the compensation structures will potentially create additional problems down the line in other areas. The worst part is that these pattern shifts may largely go unnoticed as they become permanent. Through a process of first identifying such patterns established in the body and then followed by a process of re-education, such patterns can be erased thus returning the body to a natural balance in terms of core to peripheral structures. This then prevents the propensity for re-injury or additional injury down the line. What about recovery from illness? A.I.M. Therapy is also useful in rehabilitating and rebalancing a body that has been denigrated through an acute or chronic illness. Illnesses such as Fibromyalgia, Type 2 Diabetes, High Blood Pressure, Anxiety and Depression are often manifest as imbalances in the body's ability to properly regulate certain functionality. Acquired patterns of behavior, posturing and inefficiency translate to leaks of vital energy which can then leave the body's systems depleted. Again, by first identifying and then addressing these at the source, such patterns can be erased thus returning a more natural state of balance to the body's systems. Take A.I.M. And Take Charge Of Your Health On Your Own Time To Live Pain Free Every Day Without Medication, or The Need For Physical therapists And Chiropractors! Is this like Yoga? No. Yoga can be potentially detrimental to the healing of an injured body structure primarily due to two reasons. Prolonged stretching of an injured structure risks potential exacerbation and further injury to the area. Given that most Yoga instructors are certified after only 400 hours of training, they generally do not have enough knowledge to truly assist an injured body. Does this work like Pilates? No. Pilates addresses only a small subset of issues related to core strength or lack thereof. And attempting to strengthen the core prior to rebalancing the body can lead to the further ingraining of already present patterns of improper motion, making it even more difficult to heal. Within A.I.M. Therapy, the body is first rebalanced prior to strengthening. The overall effort goes far beyond that to address the whole. Does this require equipment? A.I.M requires no special equipment. It is done with only the individual's body and thus can be performed anywhere at any time. How much time per day does this take? Targeted processes generally requires less than 20 minutes per day to achieve the desired results.